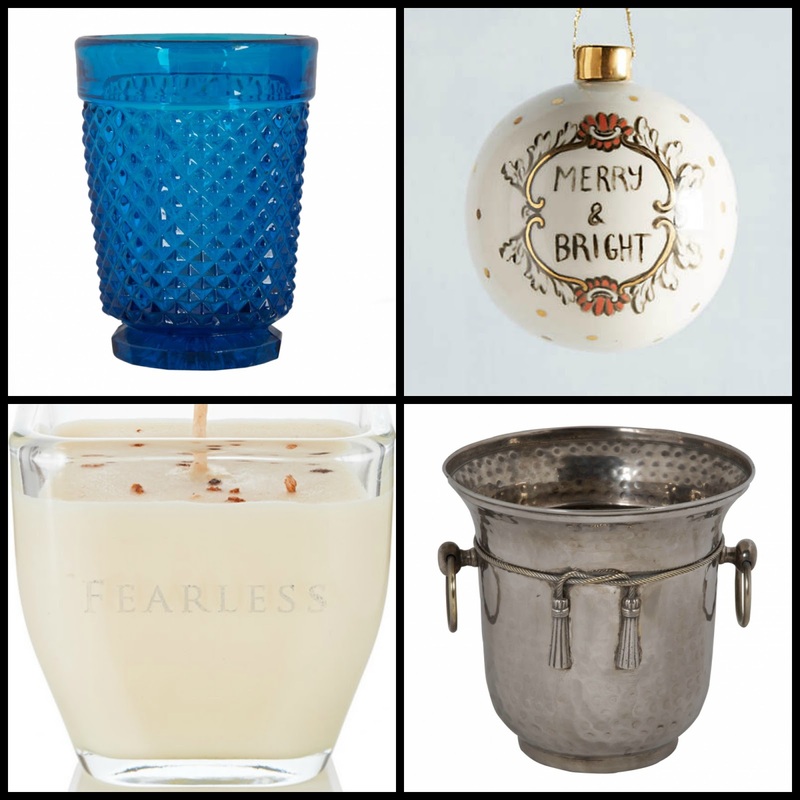 Find the perfect gift for the hostess with the mostess this Christmas, and some items that are sure to get everyone in the festive spirit! Hooray! The weekend is finally here! After a long week of new projects, deadlines and meetings, it's great to have a little down time. Princess Marie Chantal of Greece on how to build a successful career: as a small business owner, her advice and record of achievement is completely inspiring! 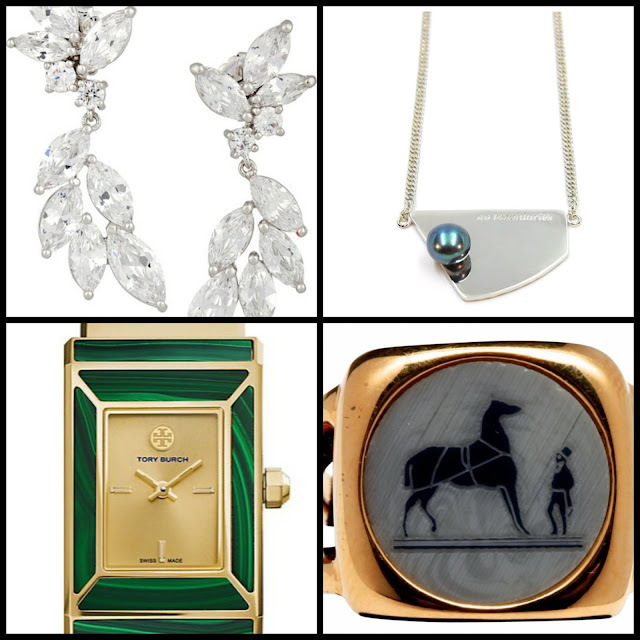 15 rare treasures in Phillips's first Hong Kong watch auction: guess I've been thinking alot about watches lately! Martha Stewart home tours: a journey through Martha's homes! Serious interior inspiration right here! This week, President Obama pardoned the official Thanksgiving turkeys- Honest and Abe during a ceremony in the Rose Garden. 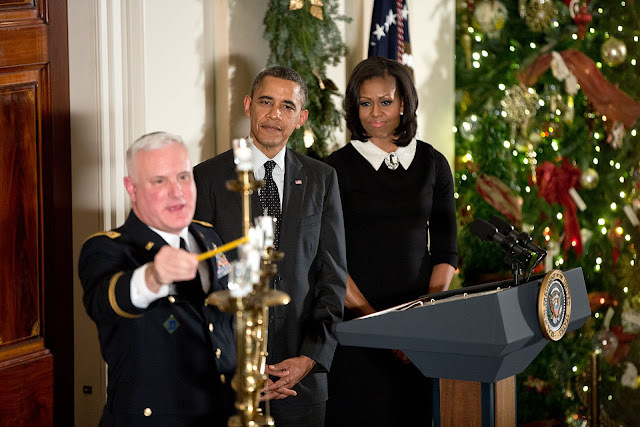 President Obama also hosted the Presidential Medal of Freedom ceremony in the East Room of the White House. You know my motto...if it moves, monogram it! 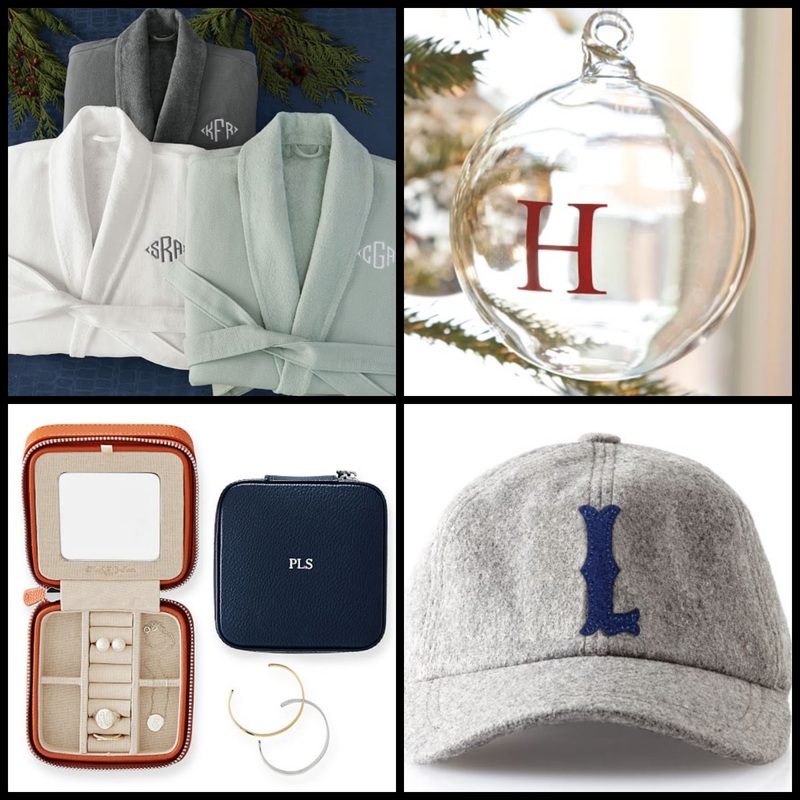 Here are some of my favorite monogram gifts to give this holiday season. Get creative with Joules and head to London! This time of year a sassy rain boot is pretty much an essential item. Whether you're trudging through a fresh batch of snow or battling through torrential rain, a pretty rain boot can cheer you up and keep you dry at the same time! 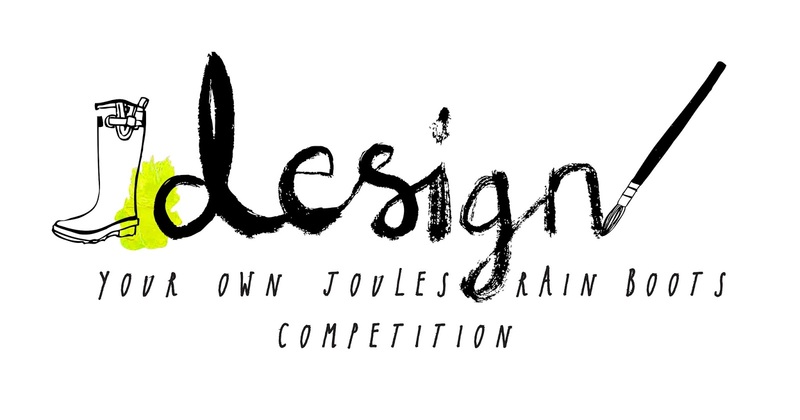 British brand Joules is offering fans the chance to design their dream rain boot and be in with a chance to win a trip to London! Joules already produces some pretty funky rain boots, so just imagine how cool it would be to see your design amongst their amazing range! Budding designers, doodlers and rain boot lovers are being encouraged to get creative, with the winning design being put into production. 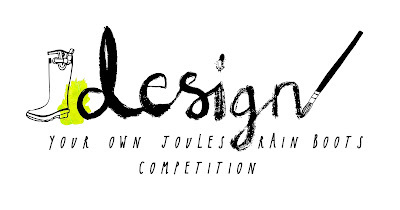 The winning rain boot design will go on sale at joulesusa.com. Proceeds from the sale of the limited edition winning welly will be donated to Step Up. Have you had your first holiday party yet? 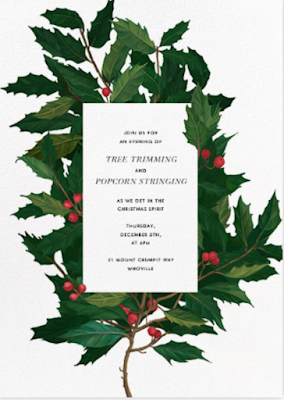 Planning a festive event is usually a mix of equal parts fun to overwhelming- with many more emotions in between! Whether you're planning a big bash for your extended family or an intimate gathering for a group of friends. check out my Pinterest boards for some ideas on color themes, decorative decor, tasty food, delicious drink and sparkling fashion! For invites, head to Paperless Post where a great array of invitations awaits. The only dilemma will be which design you choose! This English Holly design is one of my favorites! Check out my Pinterest board below for more holiday inspiration! Christmas is all about sparkle and shine, and with these selection of great jewels, you'll be the sparkliest person this holiday season! 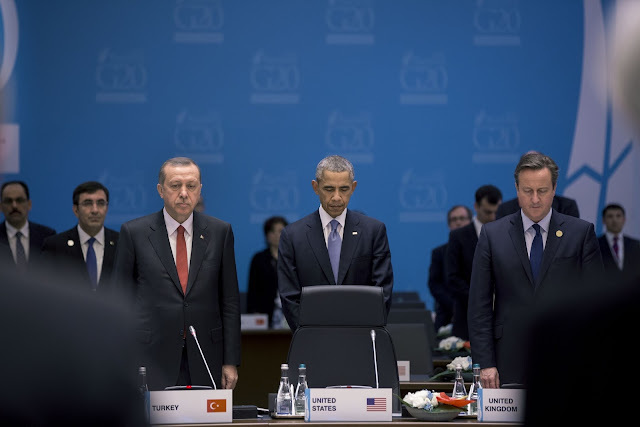 This week, President Obama was in Turkey for the G20 Summit. President Obama underscored the need for nations around the world to unite against the threat of terrorism. The First Lady hosted the National Arts and Humanities Youth Program Awards in the East Room of the White House. 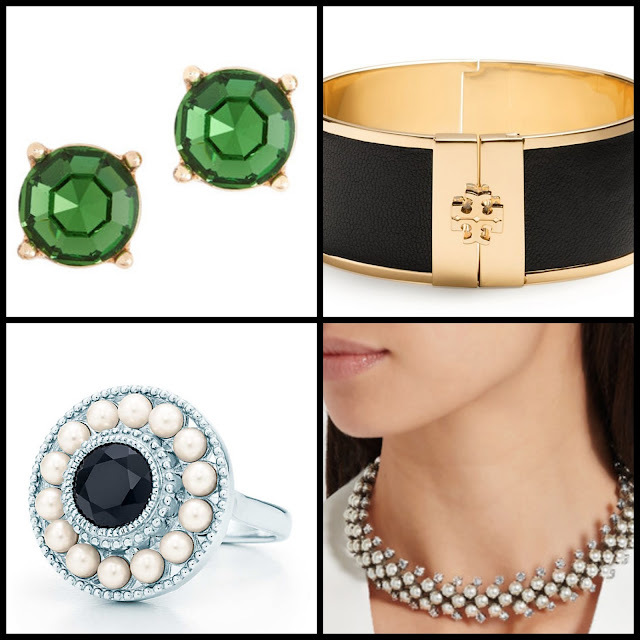 Accessorize in style this holiday season! 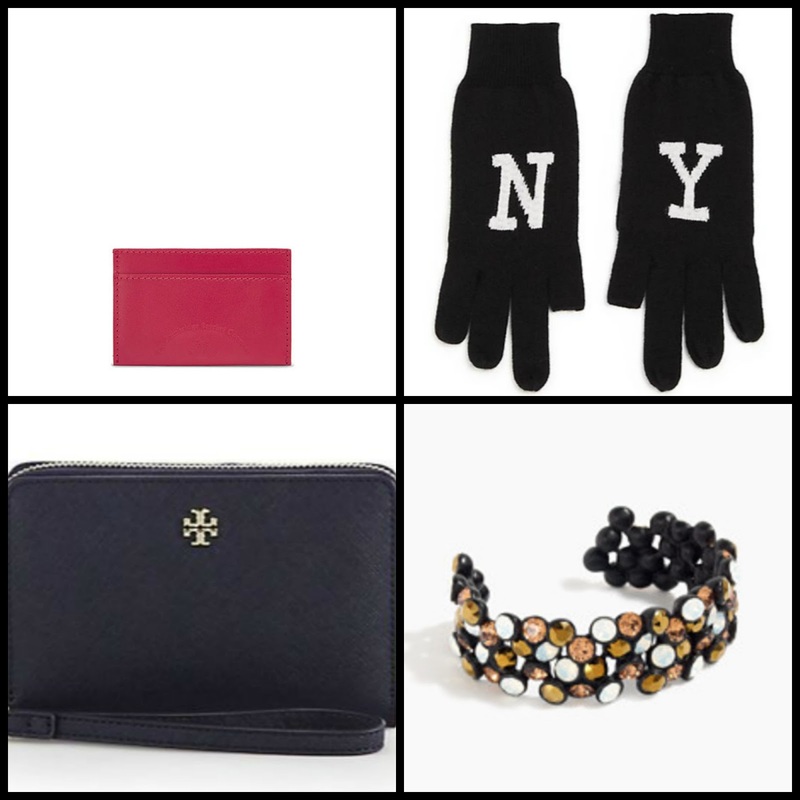 From warm gloves to chic sparkles, these are some of my top accessory picks! 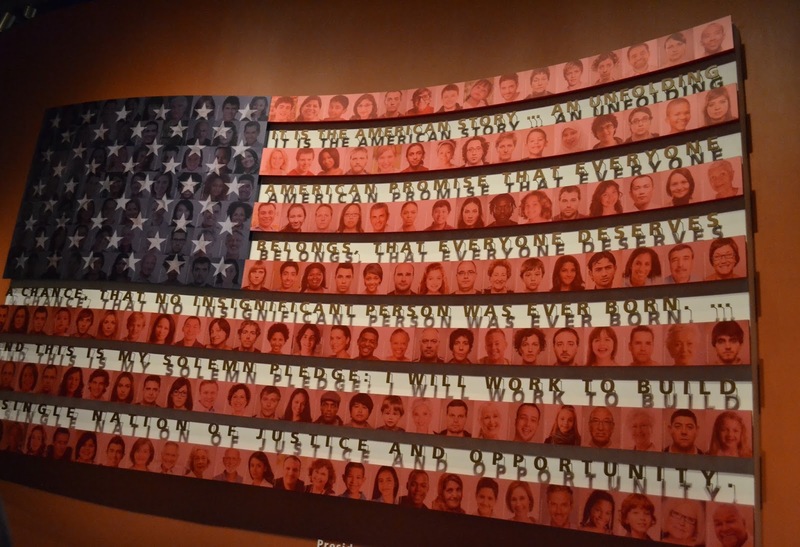 Top of my must visit list in Dallas was the George W. Bush Presidential Library and Museum. The 13th Presidential Library and Museum, the attraction is located on the SMU campus in the heart of the city. 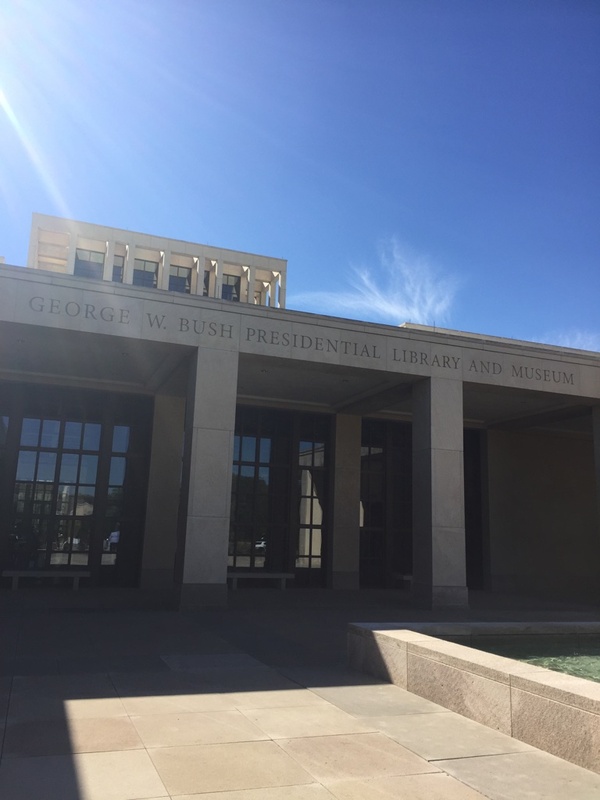 The Presidential Library provides an depth look into the eight years of the Bush presidency, with many key exhibits on display. 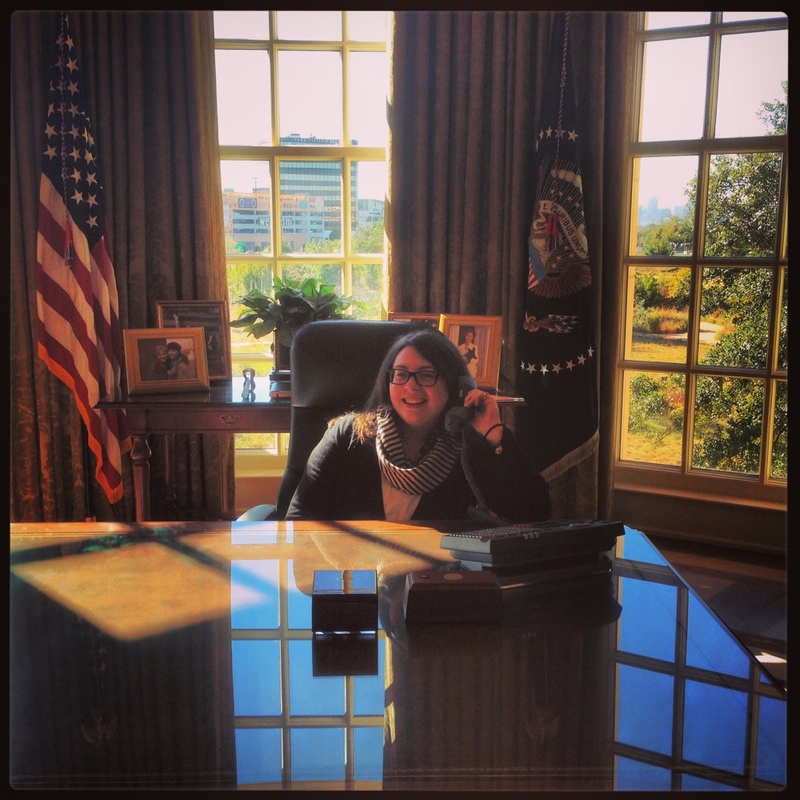 Perhaps the highlight of the Museum, and the big draw for me, was the replica of the Oval Office. 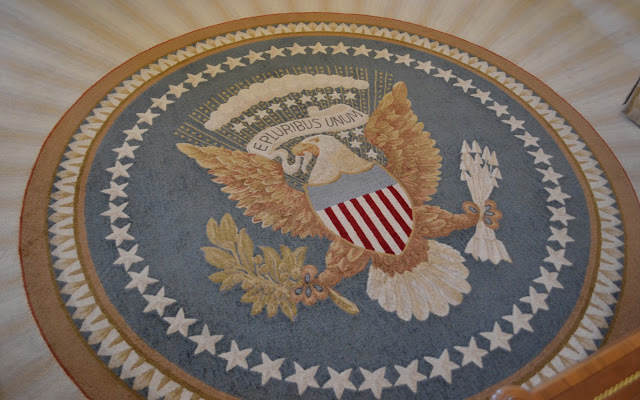 Created to scale, visitors are able to sit behind the Resolute Desk, in the President's chair in front of the fireplace and generally experience what it's like to be in the most powerful room in the world! I also loved the Texas Rose Garden which is situated just outside the Oval Office. A great view of the Dallas skyline and some beautiful plants and trees! The exhibition into life in the White House was fascinating, and with items from Air Force One, state dinners, the Easter Egg Roll and a special section on Barney and Miss Beazley, this part of the Museum provides an intimate look inside the public and private side of the President and First Lady. Presidential libraries providing a fascinating insight into the role of the President and the legacies left by the country's most powerful leaders. This was definitely one of the better Presidential libraries I've visited, and I'd visit again in a heartbeat! For more photos of my trip to the George W Bush Presidential Library and Museum visit my Flickr page. 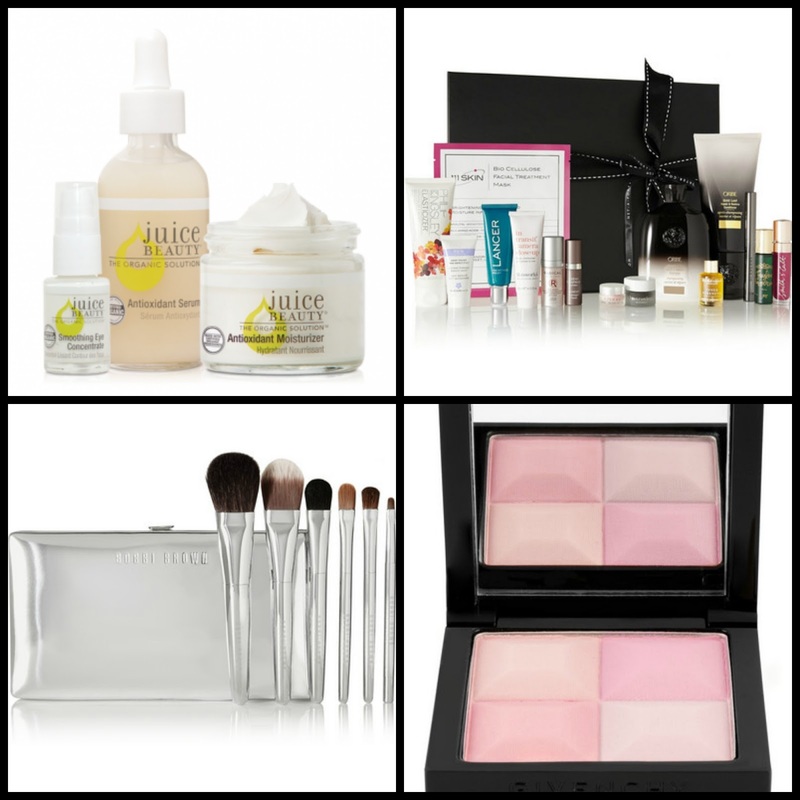 What's Christmas without some lovely beauty treats? 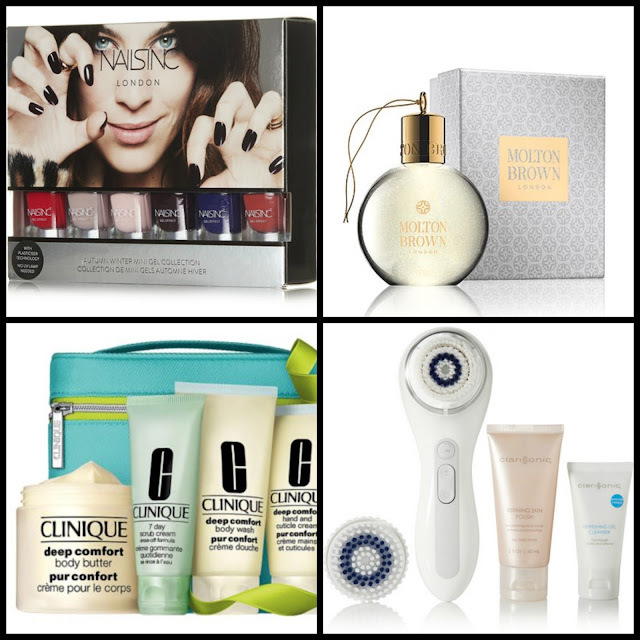 Whether you're buying a gift for your best friend or secretly treating yourself, here are some great beauty items that deserve to be opened on Christmas morning! This week President Obama launched his own Facebook page! In his first post, President Obama discussed climate change and the upcoming meeting with world leaders in Paris to discuss action on this serious issue. President Obama's Facebook page will serve as a new place online to engage directly with the American people, with videos and posts coming exclusively from him. Want to take part in the White House's Hannukah celebrations? The Executive Mansion is looking for a special and unique menorah that tells a story to be part of their candle lighting ceremony. A story about family, about community, about the long Jewish cultural tradition in the United States, Israel, or around the world. To submit your story click here and fill in the boxes. Entrants must be received by November 20th. 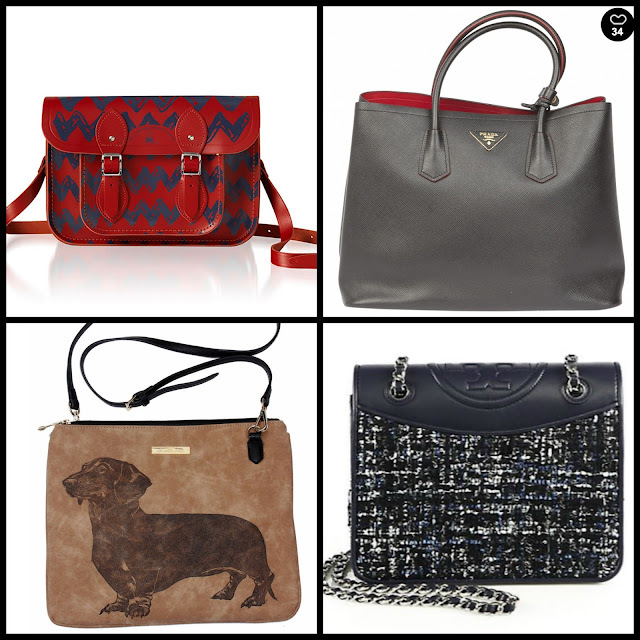 One can never have enough handbags... and there are some great ones out there this season! Whether you're buying a bag for your best friend or a sneaky new addition for your collection, here are some of my favourites! Whether it's cash or cards, all of us at some point will need and carry a wallet. Much like my handbag, my wallet is often overfilled with cards, coins and receipts. Add in a few keepsakes and lucky charms, and my wallet is an everyday essential. 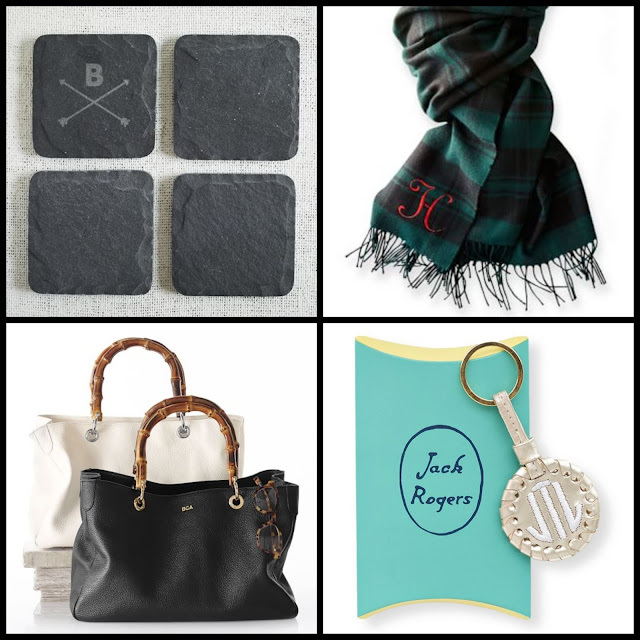 I have an appreciation for finely created pieces, and the range of wallets, purses and accessories from David Hampton are the best of the best. Makers of superior leather goods since 1989, David Hampton products beautifully crafted wallets, purses, travel goods and luxury leather gifts for men and women. With exceptional customer service and skilled craftsmanship, David Hampton is a distinctive and timeless producer of the finest leather goods and gifts on the market. Made from premium quality leather by skilled artisans, all David Hampton items come with a lifetime guarantee and a promise of continued excellence. The Oak Grain Leather Zip Wallet is perhaps one of my favourite products. 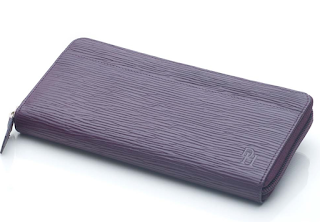 Available in classic black, or aubergine or fuschia, the wallet is perfect for a hoarder like me! With three interior sections, a zipped coin compartment and an outside pocket, the wallet can comfortably hold twelve cards and is fully lined. 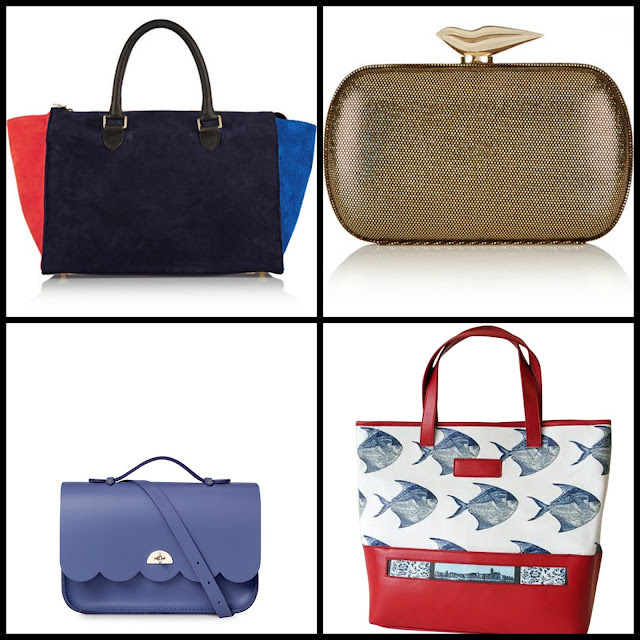 It's perfect for travelling or for adding a touch of British chic to everyday proceedings! David Hampton produces a fantastic range of leather items, and all would be ideal Christmas gifts for family, friends and loved ones this festive season. I know where I'll be starting my Christmas shopping! Thanks to David Hampton for my awesome Oak Grain Wallet! The stores are full of holiday merchandise, and the red cups have landed at Starbucks. Whether you like it or not, the preparations for the festive season have begun! In the first of my annual Gift Guides, I've picked some great flats that are perfect for the holidays...and all year round! 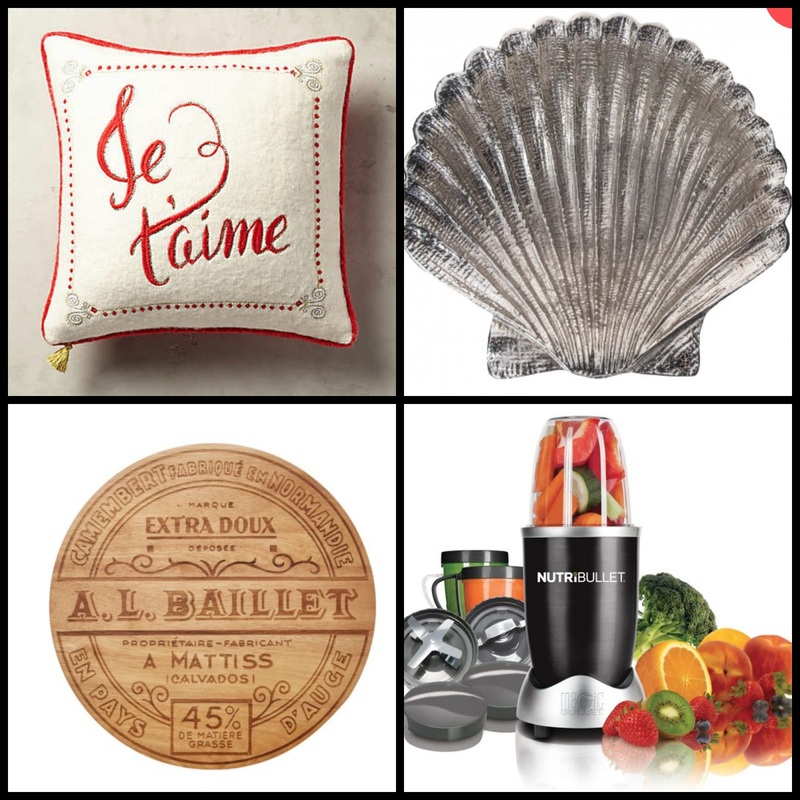 Stay tuned for gift guides throughout November and December- there's a perfect present for everyone on your list! King Willem Alexander and Queen Maxima took part in the British Remembrance Ceremony at the Cenotaph earlier today. Queen Maxima wore a traditional black ensemble, with a striking wide brimmed black hat. This week, the First Lady travelled to Qatar and Jordan to speak at the WISE Summit and promote her new education initiative, Let Girls Learn. The First Lady gave an impassioned speech calling for an end to 'outdated laws and traditions' that prevent millions of girls across the globe from completing their education. During her trip, Mrs Obama also met with troops at Al Udeid Air Base. Fancy becoming a White House Fellow? You've got until January 12th to apply. White House Fellows are extraordinary Americans, selected by the President’s Commission on White House Fellowships, who have demonstrated remarkable achievement early in their careers and have a commitment to service. 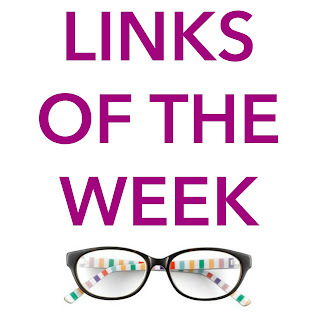 During their year in Washington, Fellows are placed as advisors to senior White House staff, Cabinet Secretaries, and other top-ranking government officials. 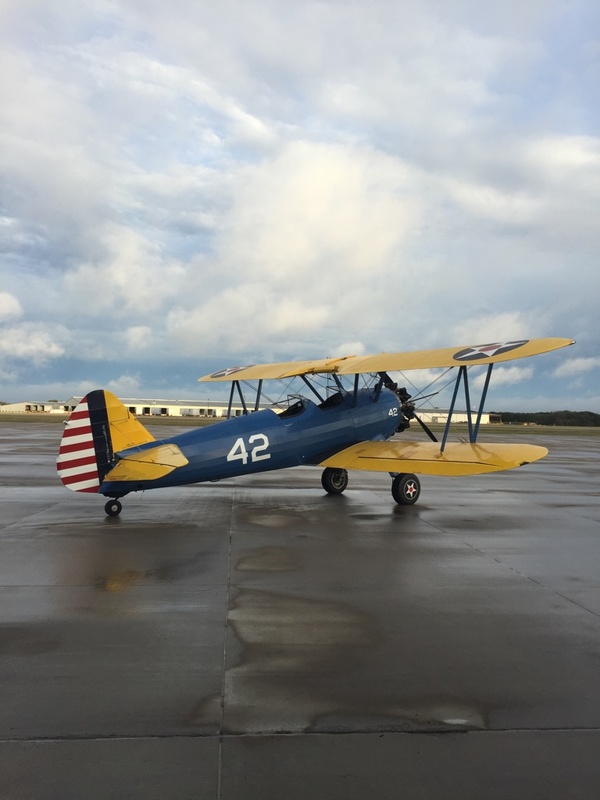 They also participate in a robust education program that includes conversations with a range of leaders and skill-based leadership development sessions. It is an extraordinary year where Fellows are pushed outside their comfort zones and immersed in the study of leadership. And in case you missed it, The White House does Halloween! 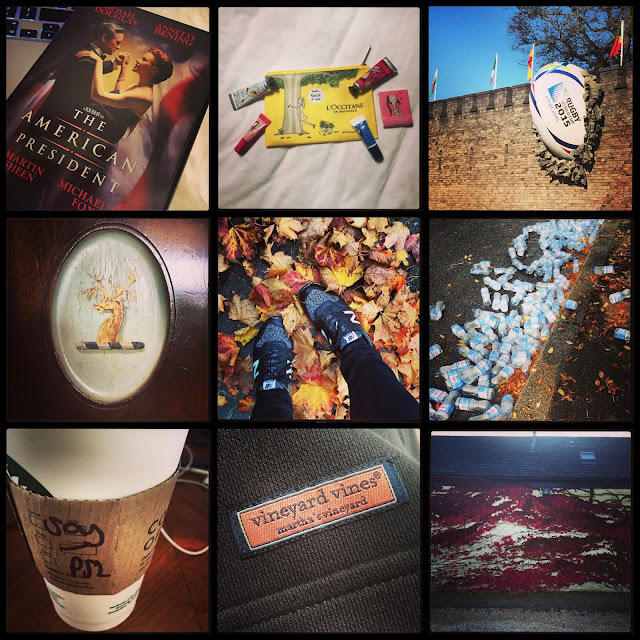 If you've been following my Instagram feed, you'll know that for the past week I've been in Dallas! 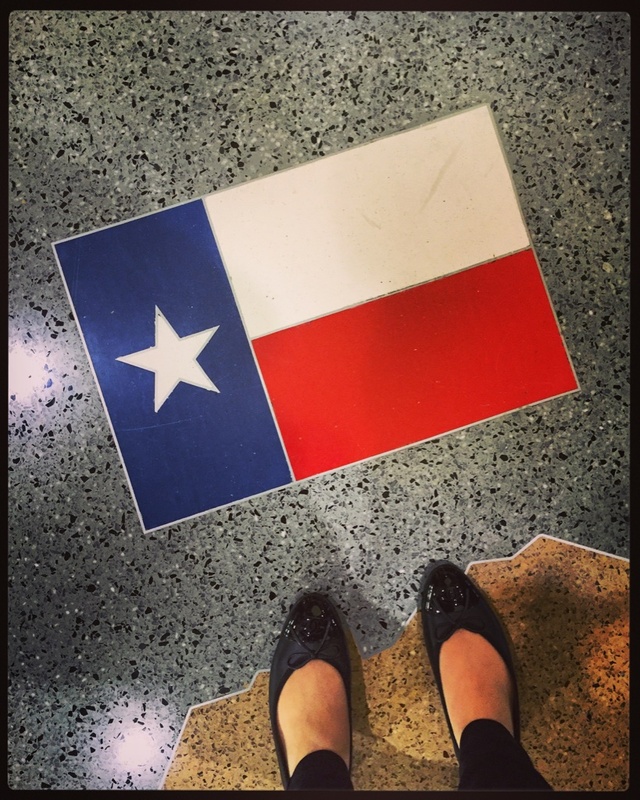 This was my first trip to Texas, and I was excited to visit a city that I've heard lots about! I stayed at the Hilton Anatole. The hotel is HUGE and it took 10 minutes to walk from my room to breakfast each day. Great for working up an appetite and walking it off! The hotel also has a tonne of art, and many priceless pieces amongst its collection. The quirkiest of them all has to be a piece of the Berlin Wall! I was in town for some St John business functions, but made time to visit two of the most interesting spots on the tourism list. The first was the George W Bush Presidential Library and Museum. 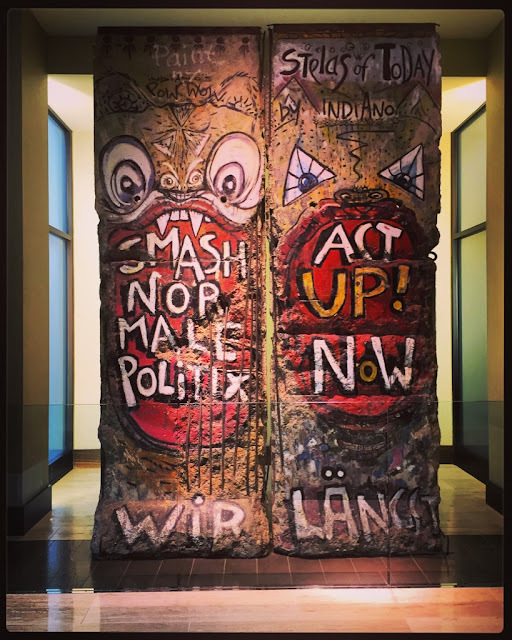 Regardless of your political persuasion, the Library and Museum is a must see attraction. The highlight for me was the to scale replica of the Oval Office, and the fact that you could sit behind the Resolute Desk and have your photo taken. Total tourist! I also visited the Sixth Floor Museum at Dealey Plaza. 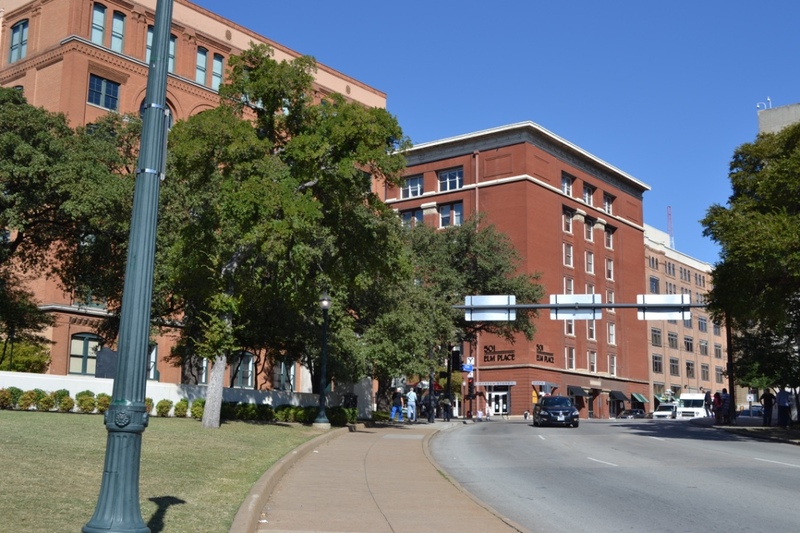 Forever associated with the death of President Kennedy, the Museum provides a fascinating insight into the President's visit to Dallas, and the events and aftermath of that tragic day. 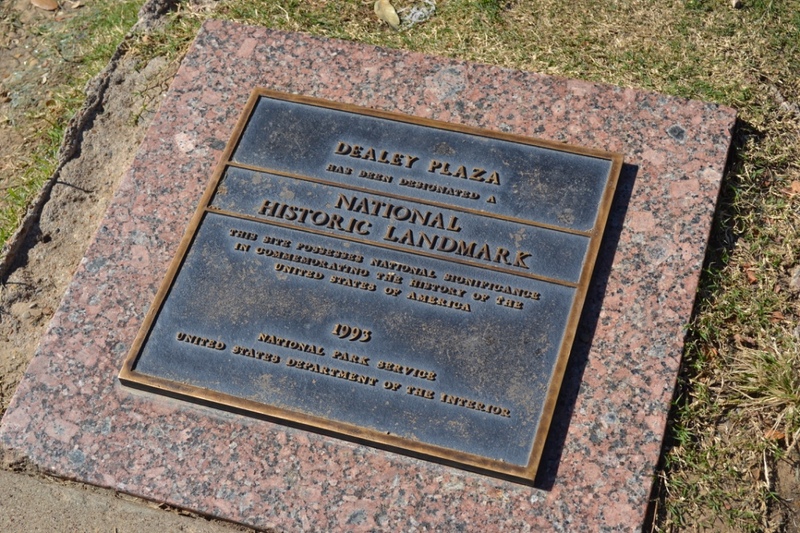 If like me, you've watched the documentaries and movies about the assassination, visiting Dealey Plaza is instantly familiar. 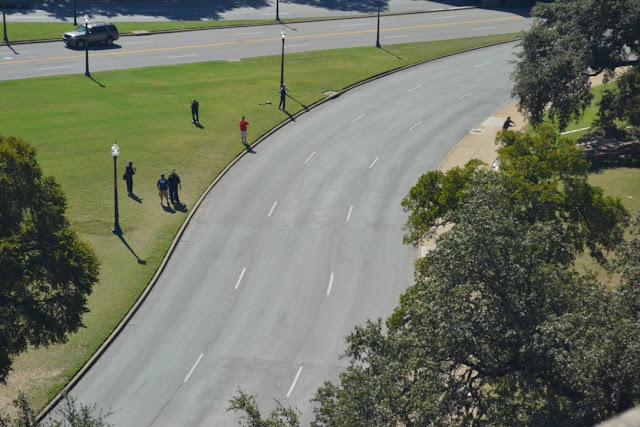 It's almost like walking onto a film set- with the Grassy Knoll, Book Depository and white picket fence all untouched. It was an eerie experience. During the weekend, I also visited the Number One British Flying School. Located outside Dallas, many British servicemen and women came to the area to train to fly during WW2. Some never returned, and the extensive museum and memorial is dedicated to their memories. Manned by volunteers, it's a hidden gem and one which was fascinating to visit. The Texan hospitality was wonderful, and it was great to catch up with many friends and new faces during my time in the Big D! It's no secret that I love Pinterest! Whether I'm looking for outfit inspiration, beauty tips or feeding my wanderlust, pinning is one of my favourite social media activities. 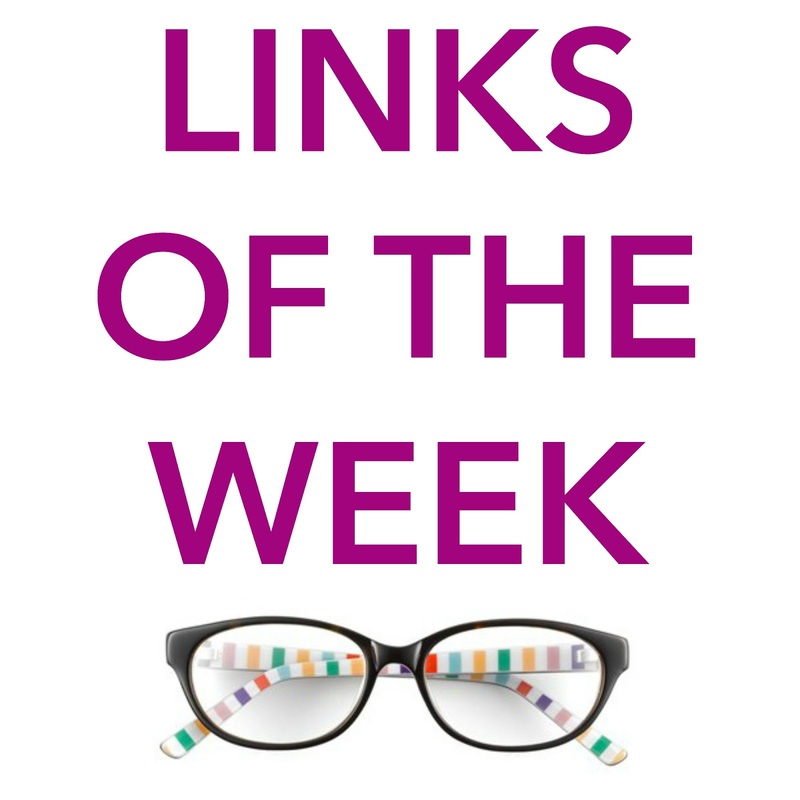 Check out some of my favourite boards and pin along! 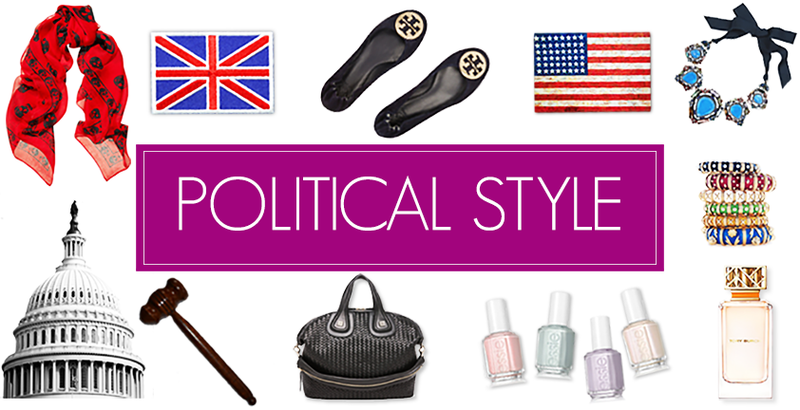 Follow Laura-Emily Dunn's board My Style on Pinterest. Follow Laura-Emily Dunn's board Royal Fashion on Pinterest. Follow Laura-Emily Dunn's board Watches on Pinterest.